Increasingly, we’re finding that the name of our website is interfering with our ability to share important information. Having the word “nationalist” in our website name constantly subjects us to ad hominem attacks. Rather than being able to debate the merits of our observations — say on a false-flag attack or the Crime Syndicate’s use of depleted uranium, for example — we wind up being summarily dismissed as “white nationalists” or find ourselves having to define or defend nationalism. 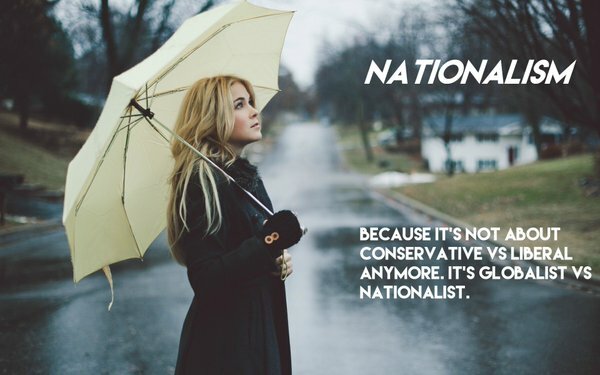 “Nationalist,” it seems, has become a nasty trigger word, and that’s interfering with our mission of speaking truth to power and waking the normies. Therefore, after much reflection, we’ve decided to change the name of this website to Winter Watch. This is just a name change, and here’s why. After a couple years, his interest veered almost entirely away from writing about finance. Russ became a truther and needed to create a new website for such writing. His objective wasn’t/isn’t money or fame or influence. He simply wanted to awaken others and engage in intelligent discussions about his observations — get feedback, if you will. Torchy, who had already been writing general news for 15 years, would also occasionally contribute articles, as would Thomas Muller. Coming up with a website name wasn’t easy. Each writer had their own areas of interest and views. So Torchy looked for the common thread among each American writer’s world view, and the framework was best defined as “nationalism” — nationalism in a third-position/non-partisan, macro sense as juxtaposed to globalism, but not “white nationalism.” That said, we don’t disparage white nationalists, but we’re not waving flags for any groups either. We naively thought that perhaps adding the term “new” to the term “nationalist” would differentiate us a little bit. Months after launching The New Nationalist (TNN) in May 2016, the term “nationalism” became increasingly associated with Donald Trump’s political campaign. Six months later, obscure and well-intentioned truther site TNN found itself being called out as “fake news” by The New York Times (aka Slimes), Business Insider and other megastream media for its posts on Pizzagate. See: The New York Times ‘Fact Checks’ Pizzagate, Labels The New Nationalist ‘Fake News’. Then, politicos and mainstream media maggots (MSM) began brainwashing the public to believe that all alternative media is “fake news” and all “fake news” is Russian propaganda in the political interest of Donald Trump. As politicos and MSM ramped up identity-politics rhetoric, it turned nationalism into a trigger word synonymous with abject racism. The nationalist label has been hijacked by fakes like Donald Trump and his kosher alt-right posse. Accordingly, in today’s newspeak world, it’s associated with the Trump Movement of which we have been critics. It has also been co-opted by warmongering neocons of which we are the diametric opposition. This movement to pervert the meaning of nationalism didn’t surprise us. Groups and their labels are often co-opted and manipulated to diminish the power of movements that push sound ideas that threaten the status quo. What did surprise was the infighting we witnessed among and with people who generally share the same causes or views. Nationalists were going after fellow nationalists for not being nationalist or pure enough. After the Charlottesville staged deception, nationalism became widely associated with violent extremism, and witch hunts ensued to out, shame and silence nationalists. Now, social media accounts are been scrubbed and websites are being taken down for “fake news” and “hate speech.” Censorship is a serious issue now. How long before TNN is targeted by algos, censors, ban clans and suppressors? Indeed, that is happening. We need to make the job a little tougher for the 5 second attention span oppressors, and not offer a bulleye on our heads. Writers at TNN are ethno-european centrists; but as true non-racist nationalists, we don’t believe that eurocentrism should be imposed on other countries and cultures. Each must defend their own — their own race, economy, culture and border. As Americans of European extraction, we defend our own. Whites in America, European countries and cultures, and basic Christian values are under constant attack by increasingly institutionalized cultural Marxism, weaponized migration and financial raiders. Throughout history, if you peel back the layers of the movement to destroy what could be collectively described as “whiteness,” you will often find at the forefront people of Jewish extraction with globalist agendas. Identifying influencers as Jewish is not antisemitic. See: A Who’s-Who List of Anti-White Jewish ‘Pseudo-Intellectual’ Quackery. Rather, it’s basic and essential to identifying in-groups, group think, cabals and crime families. Although brainwashed into a hive mind as a people – that’s not to say that every Jewish person is a member of a cabal or that every member of the global Crime Syndicate is Jewish. It’s just not that simple. To be clear, we know all too well the importance of the JQ — but it’s not the only question, and it’s not the sole focus of the writers at TNN. Winter Watch will be a truther, justice and revisionist blog. Russ is particularly proud of his deeper-dig hidden-history posts over the last year or so and believes these are among his best works. We also consider ourselves a hard-hitting anti-war and anti-warmongering publication. Issues like white rights and the white demonization and degradation assaults will continue to be core issues for us. We highlighted warmongering as a huge problem in our post “HuffPo Poll Indicates Too Many (White) Trump’tards Are Brainwashed Warmongers.” War and peace are among the most important issues of the day, and blacks as a demographic are the most anti-war of all. Perhaps they are well aware that, per capita, their people will be sacrificed in a Zio war with Iran. Additionally, although we are strongly opposed to open borders, the Muslim demonization psyops has always been well covered here. The name Winter Watch is a nod to the idea of watch persons, those who alert us to developing conditions, which is a far more accurate depiction of what we do and far less triggering. It implies that we are in a long, drawn-out battle, and we must constantly stay vigilant. The name avoids the distracting, neuro-linguistic programming (NLP), canards and the raised eyebrows that we are subjected to by those who’ve never read a single word on the site. If you’ve bookmarked The New Nationalist or enter the name into your browser in the future, it should automatically redirect to Winter Watch. All of our articles posted under the New Nationalist banner should also automatically redirect as well. Winter Watch will have the same format and appearance and the same comment section. Please bear with us while we make this transition. If you discover functionality problems with the site, don’t hesitate to let us know. This should not be happening as there is redirect plug-in called Velvet blue installed. I suspect you are right as I see occasional incoming links landing at Winter Watch but not on the article. I know support will want an actual example if you have one? These may also be articles that we have simply rerun, which breaks the old link. Brab> Thank you for alerting us to this issue. Yes, external links seem to be malfunctioning. To help us and our host diagnose the problem, could you please describe what you mean by “no longer working.” For example, is the link totally dead, does it go to an error page, or does it just go to the home page? Or can you copy/paste the broken link in comments so we can see what happens? This only happens on hyperlinks to older articles within other articles. Whew, glad you are back. I had thought about deleting this new site until the word ‘winter popped into my head. Don’t care what y’all call yourselves as long as you’re still writing and I can find you. I’m with you all the way and devoted posters as well. Every article has been enlightening and we’ll need your analysis and forum as we move in whichever direction history takes us. This election season will be a doozy! Thanks for everything. Yes, the whole point should have been the works, not the url title. That was being lost on too many people. Reasonable and I thank the three of you for your service. 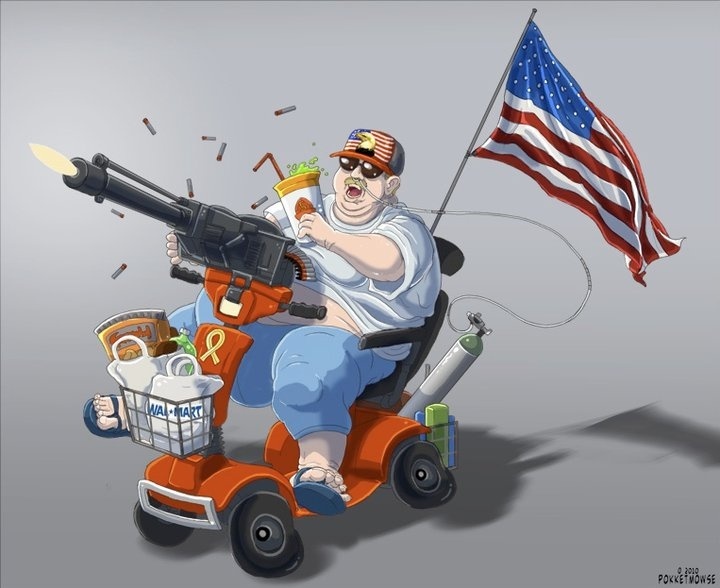 Being truly patriotic, contrary to what big brother teaches us, is often disregarding the watch words of the day and the demonizations that go along with it all too often appearing in supposed alternative papers that are simply 3rd tier ops for the elites (protocol 12-11). Blindlight has had several talks with Handsome Truth. He is willing to wager Handsome is legit. THe problem is one can’t tell how serious a goy on goy issue is or the like till the Jewish factor has been neutralized. Blindlight grows increasingly concerned with Renegade’s desire to attack seemingly well intentioned folks in the movement (if Patrick Little is subversive, diuring the campaign he demonstrated an ability to stay on message that I had yet to see within this movement till observing him).
! your URL change has given the slip to some Silicon Valley censor! enough – you got blocked – “hate, racism, violence” were the reasons given — at first – then I would get a more techy complaint – ssl something or other. Just today – it will load. It is indeed a sick society where “the names have been changed to protect the innocent” must be heard at every turn. Truth is “Winter Watch” better explains our current situation as it is winter in America and the blizzard is just around the corner. We must first make it through this season if we are ever again to be “The New Nationalist”(used in the way you intended, not the co-opted version). Please keep up the good work. I was thinking you guys would easily see the logic.. Some of us (talking about myself :)) are just too deep to see the obvious. Precisely- “the winter season upon us”. Besides being appropriate for the season as most of the world (population-wise) slips into the fall and winter, it is even more appropriate for the deep-freeze we are confronted with in the “Western” world, that former bastion of free thought, inquiry, objectivity, logic, innovation and enterprise. All the above characteristics of a truly free and enlightened society are totally absent from mainstream Western thought. We are truly living in an intellectual winter, a real Dark Age. Freedom of thought and association are crimes in America. Florists and bakers are ruined for refusing to cater for homosexual “marriages”, as if they are arms of the government and not free enterprises. We are told that in the “Dark Ages” there was no separation of Church and State, but now we have the State criminalizing people for not having the right thoughts. We are all expected to think alike. The State is the de-facto Church, and is increasingly enforcing its diktat on the totally gullible and deceived population who mistakenly believe they are “free”. Time and again we are reminded about the “wicked” and “bigoted” Inquisition that supposedly targeted and persecuted anyone who did not kowtow to the Church. Sorry to disappoint, but that is total bunkum, balderdash and baloney! The purpose of the Inquisition was solely to ascertain the true identity of people who called themselves “Christian”. If you were Jewish, you were free to be Jewish. No problem at all. However, if you were trying to pass yourself off as Christian, but your objective was only infiltration and subversion, then you needed to be exposed for the good of the people you were duping, and society at large. Anyway, while watching the wintry landscape can be depressing, I think the new WW will give it the clarifying perspective it always did when it was TNN. The world has not always been thus, and there is no reason why it won’t shrug off this winter as it has winters past.